Modern Military Training (MMT): What are you most looking forward to at I/ITSEC 2017? Nick Gibbs: I/ITSEC is one of the biggest events in our industry bringing together customers, industry and academia. We are always excited to learn more about the latest research and trends affecting the simulation and training industry. Rockwell Collins again had several papers selected for presentation at the conference, including one nominated for the best overall paper. In addition, we will help present research developed collaboratively with industry and academic partners. This event also showcases real exercises such as Operation Blended Warrior (OBW) demonstrating the possibilities and practical applications of LVC. Again at OBW, Rockwell Collins will be the only company providing a live flight asset as a part of the exercise. Rockwell Collins partnered with Dr. Tom “MACH” Schnell from The University of Iowa, and founder of the Operator Performance Laboratory (OPL) at the Center for Computer Aided Design, to fly a live L-29 aircraft enabled with Rockwell Collins avionics. At an event like this, military services can gain a deeper understanding for the capabilities of LVC, where it is today and where it is going in the future. Rockwell Collins will participate in all five blocks of OBW during the show. Finally, I/ITSEC is the one place where you can walk the show floor and experience a wide range of immersive demonstrations from leading companies across the industry. Military services can touch, feel, and experience the latest simulation and training solutions that ensure military forces can train as they fight. MMT: There are so many emerging trends and technologies impacting the future of training. What technologies have had the biggest impact on training solutions in 2017? Which technologies and trends do you think will have the biggest impact in this coming year? Gibbs: Game-based technology clearly continues to impact military training on multiple levels. There’s an increasing appetite for something new, easy to use and inexpensive. We’ve seen it across the board, primarily with application in ground vehicle or dismounted soldier, first person shooter and other similar applications. In this domain, we’ve introduced a product family we call WAVES, which stands for Wearable Augmented Visual Environment Solutions. It’s a family of products that’s a near-eye display, providing everything from actual combat situational awareness and sensors with augmented reality, mixed reality and totally immersive virtual reality. This move towards game-based technology will continue in the coming year to increase training realism and effectiveness. MMT: Talk to us about adoption of simulation and training and what sort of hurdles are still in the way? How can industry overcome these challenges? Gibbs: I see challenges falling into two main categories which are interoperability and total cost of ownership. While we are in an exciting time where training solutions are pushing the limits, bringing in a blended style of training that allows soldiers increased realism to ‘train like they fight’ from more places, requires greater interoperability of systems. That is really what OBW showcases at I/ITSEC. Multiple industry companies interact with systems that ‘talk’ to one other. Interoperability is critical as it enables all assets, from next-gen to legacy, and coalition forces to train together in real-world environments. This interoperability weaves through all of the new technology trends and will allow for greater adoption of new training capabilities. The costs for training solutions will continue to be a hurdle for customers. Costs for these latest technologies are rising and most customers are on the hunt for training solutions that are highly efficient in terms of infrastructure, acquisition, operation, and overall effectiveness. To alleviate some of this pain, one must consider new ownership models. 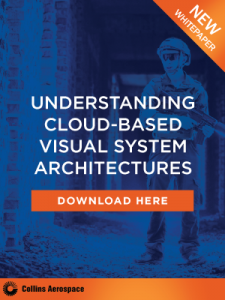 The cloud enables more flexibility and open source software and synthetic environments can help control costs. Other ways to manage costs are to tailor training based on experience, to remove redundant elements, and provide more focused, relevant trainings. MMT: What highlights can we expect from Rockwell Collins at I/ITSEC 2017? This is an exciting time to drive innovation into the training and simulation market and at Rockwell Collins, we are focused on helping customers achieve Readiness without Boundaries. Being at the forefront of innovation in this industry, we strive to develop solutions that can address any training environment or need, from simple individual training up to the most complex multi-participant/multi-national exercises, such as OBW. 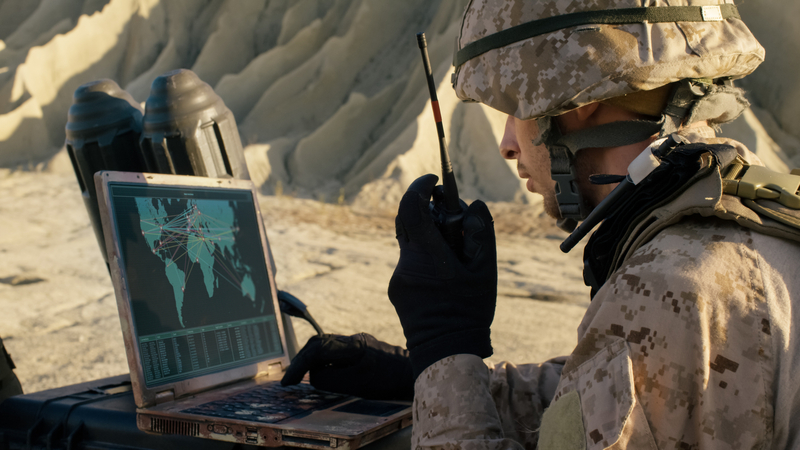 For training that is based at a home station or while deployed, Rockwell Collins ensures that our technologies are secure, as well as interoperable. This way, participants can work with one another at the level of security at which they are cleared to receive information. We are also excited to announce a collaboration agreement with CAE to develop integrated LVC training solutions. As part of that, we will be doing several joint demonstrations on Tuesday and Wednesday during I/ITSEC of an integrated mission training exercise using fulling connected and secure LVC elements. These demonstrations will take place at both the Rockwell Collins and CAE booths. All of this and more of our latest innovations will be displayed at our booth #2201. Stay updated on I/ITSEC 2017 and other training and simulation trends by subscribing to our Modern Military Training newsletter here.